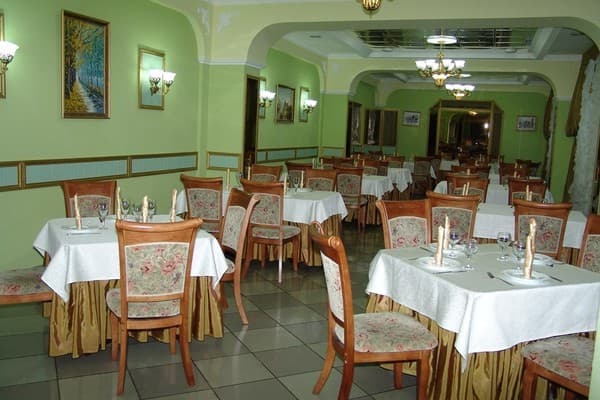 The Alexandrovsky Hotel is located in the central part of the city of Nikolaev, 550 meters from the waterfront. The hotel is located in an ancient building, which is an architectural monument. Guests are offered accommodation in comfortable rooms of Standard, Junior, Suite and Apartment. Each room is equipped with a bed, wardrobe, bedside tables, TV with cable TV, mini-bar, air conditioning and telephone. Amenities include a hairdryer and toiletries. Free Wi-Fi is available throughout the property. There is a restaurant for guests, where it is possible to order meals on the menu. For guests by car there is a free guarded parking lot. There is also a conference room, a meeting room, a fitness room, a solarium, a sauna, a swimming pool and a billiard club. 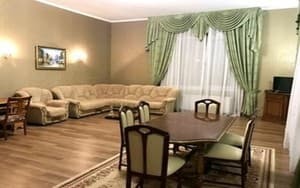 The Alexandrovsky Hotel is located 8.1 km from the railway station. Distance to the bus station - 5 km, to the Museum of Shipbuilding and Fleet - 200 m, to the Drama Theater. Chkalov - 500 m. The nearest public transport station st. Navarinskaya is 130 meters from the hotel. 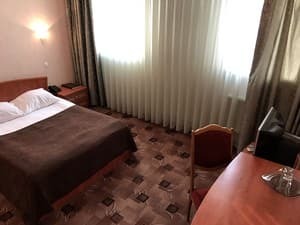 Description of the room: Comfortable single room. The room is equipped with a double bed, bedside tables, dressing table, desk and coffee table. 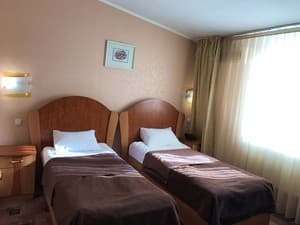 Description of the room: The cozy double room is equipped with two beds, bedside tables and armchairs. 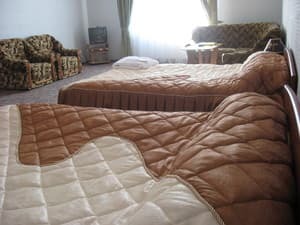 Description of the room: The comfortable double room is equipped with two double beds, a desk. The living room is equipped with a soft corner and a coffee table. 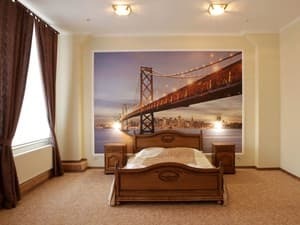 Description of the room: Comfortable double room consists of a living room, bedroom and hallway. Living area of ​​26 square meters. equipped with a sofa, armchairs, dining table for 4 people, a work desk with compartments for papers and stationery cupboard. The sleeping area of ​​21 square meters. It equipped with a double bed, bedside tables, dressing table. The hall provides a large built-in wardrobe with mirror in all growth. 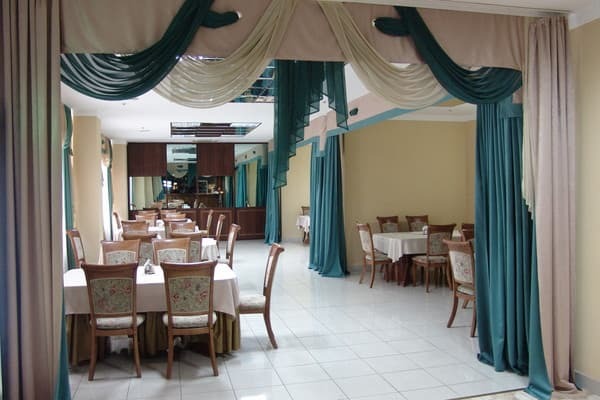 Description of the room: Large and bright room of 65 square meters area. in classic style. The living room is equipped with a large dining table for six people, a desk with a chair, a couch, a glass coffee table, sideboard. The bedroom has a double bed, wardrobe with built-in full-length mirrors, dressing table. Проживала в номере стандарт одноместный: поселение вовремя, чистый номер, горячая вода, белые полотенца, приветливый персонал. 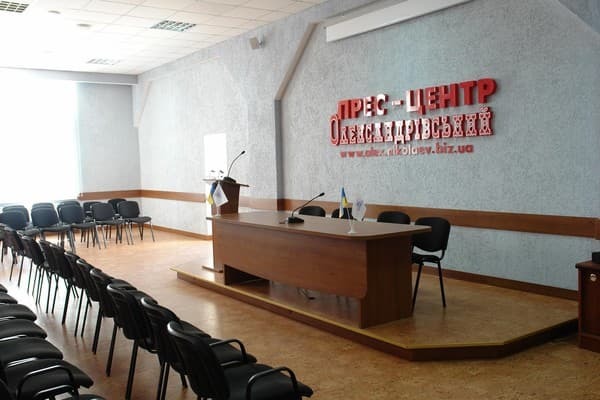 Включен завтрак, предложено на выбор шесть вариантов. Вкусно и быстро. Уютное место, удобно расположено, хорошая еда, быстрый непрерываемый интернет. "Alexander" is a restaurant, where meals can be ordered à la carte. 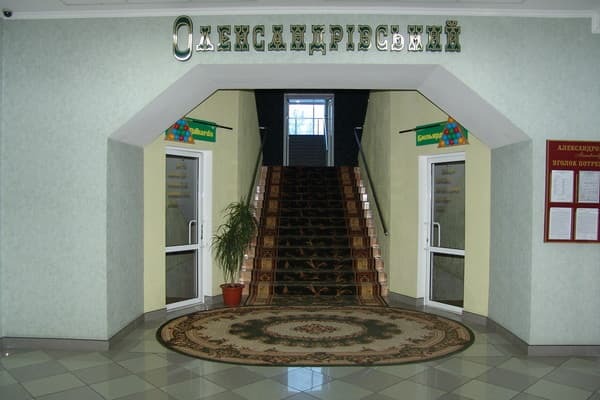 Hotel "Alexander" is located 8.1 km from the train / railway station. The distance to the bus station - 5 km, to the Museum of Shipbuilding and Fleet - 200 m, to the Drama Theatre. 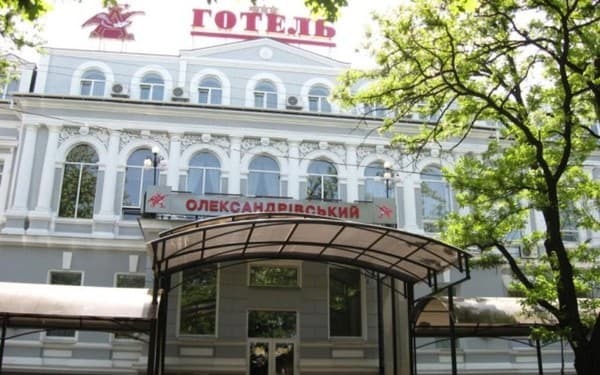 Chkalov - 500 m.
The hotel "Alexander" can be reached from the bus station taxi №13, №1 and №75. The nearest stop is "Admiral".